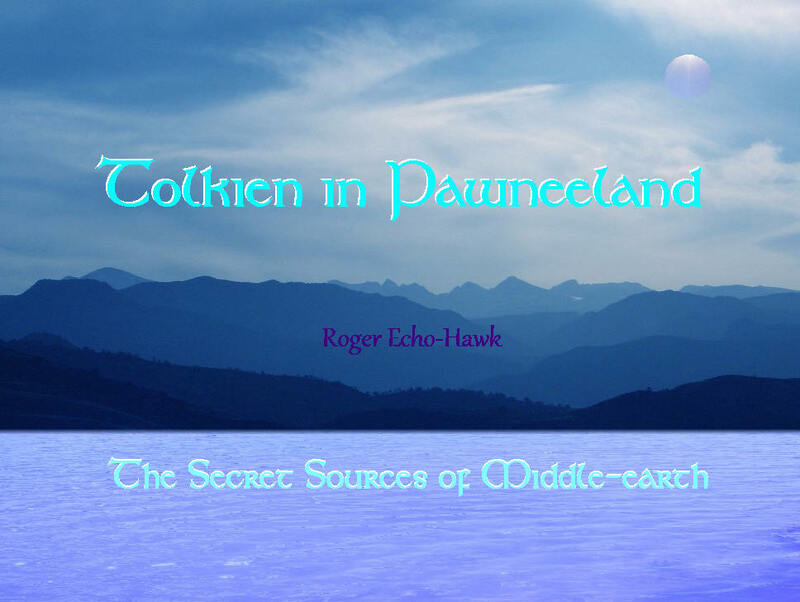 In my book, Tolkien in Pawneeland, I compare textual elements to show that in 1919 interesting traces of Skidi stories found their way into JRR Tolkien’s The Book of Lost Tales, and more such traces later ended up in The Hobbit and The Lord of the Rings. Studying these narrative details, I do not believe that a theory of chance parallel invention can explain what happened. The patterning, diversity, and uniqueness of these borrowed details most clearly support the conclusion that Tolkien made intentional use of a 1904 book called Traditions of the Skidi Pawnee. In one chapter I ponder a Skidi tradition in which a fire-breathing stone-covered monster is slain by an arrow shot under its arm. I suggest that Tolkien drew on this story for the means to slay Smaug the dragon. After publishing Tolkien in Pawneeland, I came across several additional details in a second Skidi tradition. In a Skidi story that considers the special use of black arrows, a buffalo gets killed in exactly the same way: “…as the buffalo threw out its front leg, the boy pulled his bow-string, loosed the arrow, and shot the buffalo in the soft place under the shoulder, so that the arrow went through the heart.” Smaug flings out his foreleg and is shot by Tolkien’s black arrow, just as the buffalo in the Pawnee story throws out its front leg and gets shot by a Pawnee arrow. Given the likelihood that Tolkien found part of his black arrow in Pawneeland, as well as the means to kill Smaug, other innocent-sounding details take on new significance. After the dragon tumbles into Long Lake, Tolkien has the dead dragon “lying cold as stone”; and later in the story Tolkien has the elves in Rivendell reference “a stone dragon.” These narrative details sound merely poetic but make perfect sense to say of Smaug when we link them to the killing of a Skidi Pawnee monster clothed in stone. With these connections in mind, it is appropriate that Tolkien’s first physical description of Bard the bowman mentions long black hair. Tolkien drew upon traditional European dragons for help in inventing Smaug. But if any source in European literature inspired the death of Smaug, it has yet to be identified. To assemble the tale of the death of Smaug from Pawnee tradition, Tolkien merely had to spend a few moments skimming two stories in Traditions of the Skidi Pawnee. Tolkien in Pawneeland offers a view of Tolkien that never appears in mainstream Tolkien scholarship. Secretly visiting Pawneeland, Tolkien becomes a world mythologist. And when we glimpse him setting foot upon those particular circles of the world, we suddenly see that the enchanted seas of Middle-earth wash up against many shores.